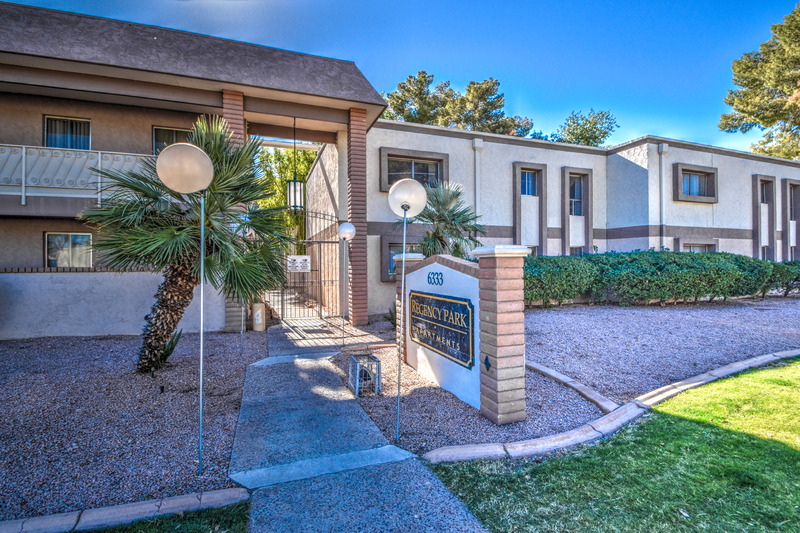 Phoenix, Ariz. – CBRE has arranged the $13.5 million sale of Regency Park, a 104-unit garden-style apartment community located in the North Central Phoenix submarket at 6333 N. 12th Street, just north of Bethany Home Road. Portland-based Regency Park Associates, LLC acquired the value-add property with new financing and plans to reposition the property. Brian Smuckler, Jeff Seaman and Derek Smigiel with CBRE Phoenix represented both the buyer and the seller in the transaction. The seller is an affiliate of 3rd Ave Investments, LLC, a Phoenix-based real estate investment and management firm that specializes in the acquisition and repositioning of Arizona multifamily assets. Since inception, 3rd Ave Investments has purchased 2,333 units valued in excess of $226 million. Built in 1971, the property is situated on approximately 3.74 acres and features majority two-bedroom, two-bathroom floorplans averaging 925 square feet. Interior features include ceramic tile or faux wood-plank tile flooring, full-size electric appliances, vaulted ceilings in upstairs units and spacious walk-in closets. Other amenities include a resort-style swimming pool, pedestrian gated entry, covered parking, barbeques, laundry facility, fitness center and clubhouse. Rents in the North Central Phoenix submarket averaged $1.07 in the first quarter of 2018, increasing 4 percent from the same quarter in 2017. The average submarket vacancy has decreases by 40 basis points during the same period, significantly greater than the metro Phoenix average.